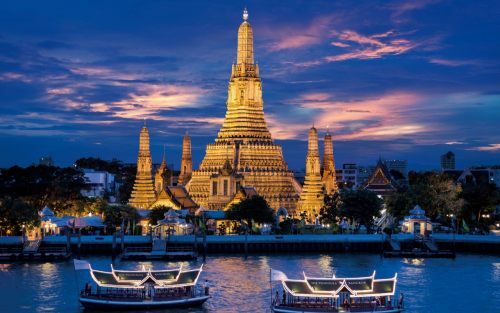 ANA (All Nippon Airways) has dropped the price of their flights from Kelowna to Bangkok, Thailand down to $629 CAD roundtrip including taxes. 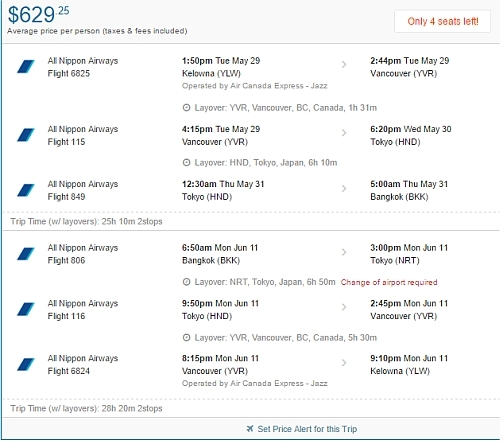 It's also possible to extend this layover in Japan to multiple days, for an extra $99. 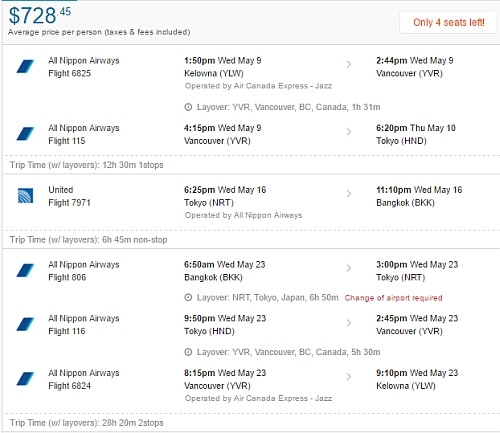 This is a new record for the cheapest flights from Kelowna to Thailand! kelowna, YLW, flight deals, asia, southeast asia, all nippon airways, ana, bangkok, thailand or bkk. No Responses to "Kelowna to Bangkok, Thailand - $629 CAD roundtrip including taxes | ANA flights (new record! ), add Japan for $99"